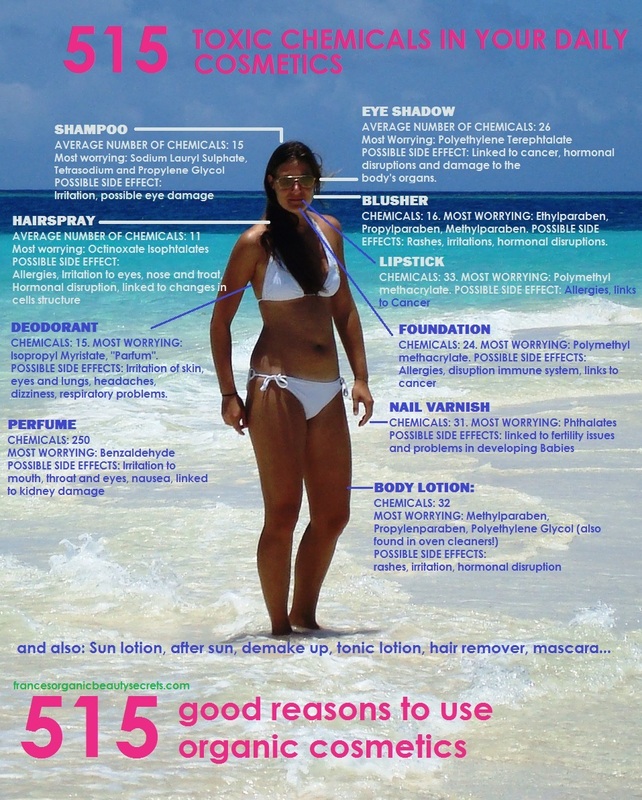 It is amazing to know that a woman is putting 515 toxic substances on her skin per day!!! Only 9 % of these women are aware and vigilent in what ingredients are getting in their cosmetics formulas! It means that 91 % of women don’t know they are using daily toxic ingredients which are threatening their health…as well as their children’s health…and future!